Even as a child, I remember feeling like the Olympics were something special. As I’ve gotten older, I must admit I like watching sports less and less. But still the Olympics draw me. Maybe it is the pride I feel for our country when the national anthem is played. Perhaps it is the human drama. Or the fact that as a little girl, the idea of being a figure skater captivated me. And even though the games are marred at times with drug use and political maneuverings, there is always the hope that the world really can come together and be at peace—at least for a time. I think that is what we all want our kids to see and experience. So from February 9th through the 25th, the world will watch the 2018 Winter Olympics—and perhaps your family will too. Why not make it a fun, memorable, and educational event? Lay aside some, or all, of your regular work load and do learning activities centered around the Olympics. Capitalize on the natural excitement that surrounds the games, and the freedom homeschooling affords. 1. Research questions your family has about the Olympics. This is the perfect time to have your students brush up on their research skills. When they study the history of the Olympics, they also learn about geography, government, and politics. They encounter stories of triumph and failure. And perhaps they will be inspired. Where did the first Olympics take place? What country has won the most medals in the winter Olympics? In the summer Olympics? Who has won the most medals in a single Olympic games? And who is the all-time highest medal winner? How are the places that host them chosen? What is involved with becoming a host city? What happens to the venues that were built for the Olympics when they are over? They can then write about what they learn, do a presentation, or simply tell the rest of the family what they have discovered. Or, you will find ideas and resources below for putting together a notebook of all they learn. 2. Explore Olympic websites together. Follow along with up-to-date information on the Internet for the 2018 Winter Olympics. You can learn about the events, keep up with medal counts, and find out more about the Olympians who are competing. You can even follow your favorite teams on their official pages. Locate some (or all if you are really ambitious) of the countries on an outline map. Color, and label them. I was amazed how much my children remembered when they mapped using outline maps instead of labeled ones. 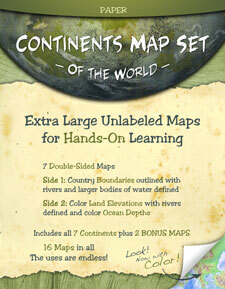 Geography Matters has several options including Extra Large Unlabeled Maps. You can purchase them laminated or not where it says “select map format”. We used the paper ones because, when folded, they fit perfectly into a notebook pocket divider. They also offer large wall maps of the world too. Remember though, geography is about more than mapping. Spends some time learning about the physical features of different countries, their culture, and the stories of the people. Netflix has some great documentaries such as Wild China. And considering this years games are in South Korea, older students might find National Geographic’s Documentary Inside North Korea fascinating. Do a study of the geography and history of the host country, South Korea with this free resource from BookShark. Let drawing the Flags of the World for Kids jumpstart your studies —from The Learning Hypothesis. Learn about time zones. Figure out what time it is in different parts of the world including PyeongChang, South Korea, where the Olympics are being held. Compare times across the world. How does that affect the televising of games? Figure out distances between competing teams. Have your students convert miles to kilometers or vice-versa. Keep track of the medals won by your country or another you choose. Then, make a chart of the results. Check out these ideas for younger learners from Scholastic in Winter Olympic Math. Make an Olympic Ring Graph from Teach Beside Me. Besides many of the learning activities listed in this post, students can collect articles, newspaper clippings—really anything interesting they find that connects to the Olympics—to put in their notebooks. I’ve created some Student Notebook Pages for your children to use during the 2018 Winter Olympics (and future Olympics too). Pages to record the high and low temperatures and weather conditions where you live, and the weather where the Olympics are being held (See #8). A grid page to make a line graph comparing the temperatures they recorded. 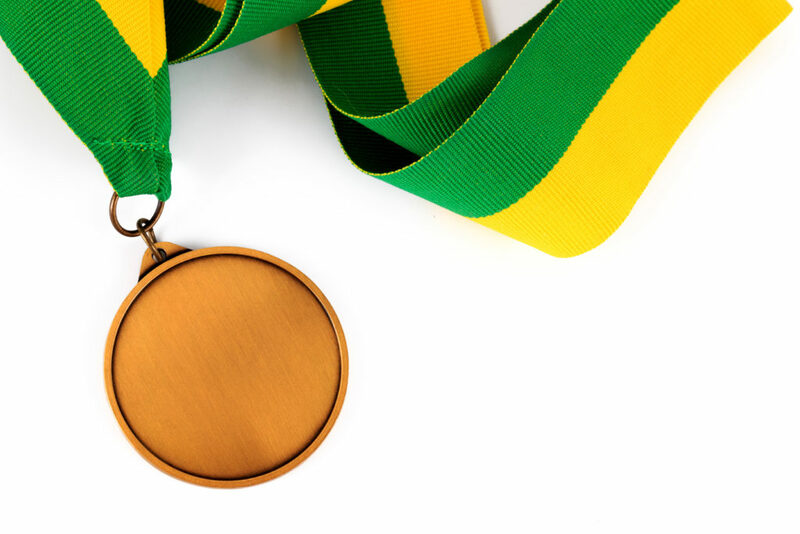 3 pages to chart a country’s medal count—up to 119 of each type of medal. 2 pages to record whatever they want. Encourage them to be creative! A place to record information about a chosen country with areas to write and draw. 2 designs of lined paper. Pages to write facts and draw an illustration for an Olympic sport. Learn about the world through art. The name for one of my favorite resources says it all: Geography Through Art: International Art Projects for Kids. But don’t assume “for kids” means it is only appropriate for elementary student. These are real art projects and will be valuable for whatever age your students are. And it includes so much more that art projects! It’s a resource you can use again and again. All you need are some paper towel rolls and red, yellow, and orange tissue paper, and anything your children might want to use to decorate their torch with. Begin by letting your students decorate the paper towel roll. They can cover it in construction paper, tin foil, paint it, decorate with stickers—whatever they want. Then make flames using the tissue paper and stuff into the top of their “torch”. Our co-oop kids then used their torches in a relay when they held a mini Olympics. Which lead us to #7. 7. Hold a mini Olympics with friends. If you live in an area with snow, you might be able to do some winter Olympic type games, but if not (or if it is just too cold) you can play some creative games indoors. And if it is warm enough, try some creative outdoor games. Make sleds out of cardboard or use a towel. One person sits on the “sled” while another pulls them across the floor. Race one another. Pretend to be ice skaters and perform a routine in the middle of the room. Run a relay and pass Olympic torches to one another. Use brooms and a ball to play hockey. 8. Learn about a science topic. Find out about winter weather. What is the difference between rain, freezing rain, sleet, and snow? You can goole images of the differences and have your student make their own. How do we know a storm is a blizzard and not just a snow storm? What are the average temperatures for where they Olympics will be held during the winter? And for older student I recommend JetStream—An Online School for Weather from the National Weather Service. It is much more detailed. The Physics of Ice Skating from The Learning Hypothesis. 9. 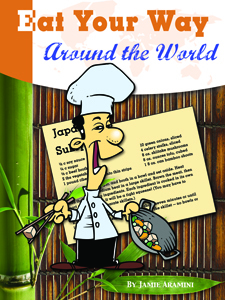 Cook some meals from around the world. Geography Matters also publishes a great cookbook by Jamie Aramini, Eat Your Way Around the World. It uses easy to find ingredients and simple instructions while still staying true to the flavors of the world. This book is filled with not only recipes, but fun facts about each area, and ideas for food activities your kids will enjoy. It is a perfect companion to your geography studies. And making dinner will do double duty as a geography and cooking lesson! Chooses a read aloud set somewhere else in the world than where you live. Here were some of our favorites over the years. To share with you younger kids, check out The Lion Storyteller Bedtime Book filled with bedtime stories from around the world. Or, since the Olympics began in Greece, perhaps your children would enjoy a few Greek myths. One of my favorite ideas though is to read about Eric Liddell, the Olympian who inspired the movie Chariots of Fire. Homeschooling gives us a lot of freedom. Let’s take advantage of special opportunities and mix things up a bit. Enjoy these Olympic ideas with your children, and be assured—they will be learning! How much fun!! I am a homeschooler and I love this idea. I hadn’t thought of teaching about the Olympics but with all the resources you have given us, I think I can and that it would be something my son would enjoy. So I would like to thank you for creating this for us. You are so welcome. It was actually fun! I hope he enjoys it! This is PERFECT! I have 3 boys and we are gearing up for the Olympics! Thank you! Yay! I hope they love it 🙂 And let me know how it goes! I always love watching the summer Olympics but not a huge fan of the winter since the change in figure skating scoring (and now no NHLers). This should help bring exciting info to my little ones. What a perfect time to study the Olympics! So much fun for sure!